Come Sunday evening, and I usually feel like is some delicious home-cooked food and a movie. 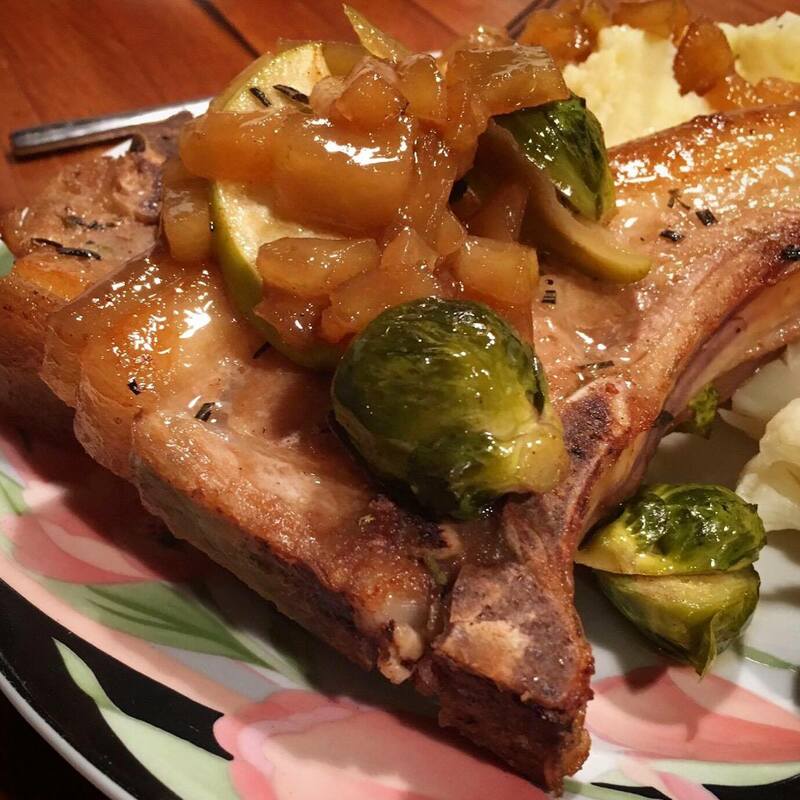 Pork chops is something that I remember not favouring during my childhood, but after being gifted a bunch of free meat, I felt this was a perfect opportunity to actually experiment with pork chops. The recipe is extremely easy, and one that could be easily prepared on a week night as it doesn’t take long at all. In a bowl, mix the paprika, garlic salt, chilli, cinnamon, 1 T brown sugar, 1 t rosemary, salt and pepper in a bowl. Massage mixture onto each pork chop, both sides. Whisk together apple cider vinegar, remaining brown sugar, rosemary, salt and pepper and 3 T olive oil. Add the apples and the brussel sprouts to the whisked mixture and leave it to sit. 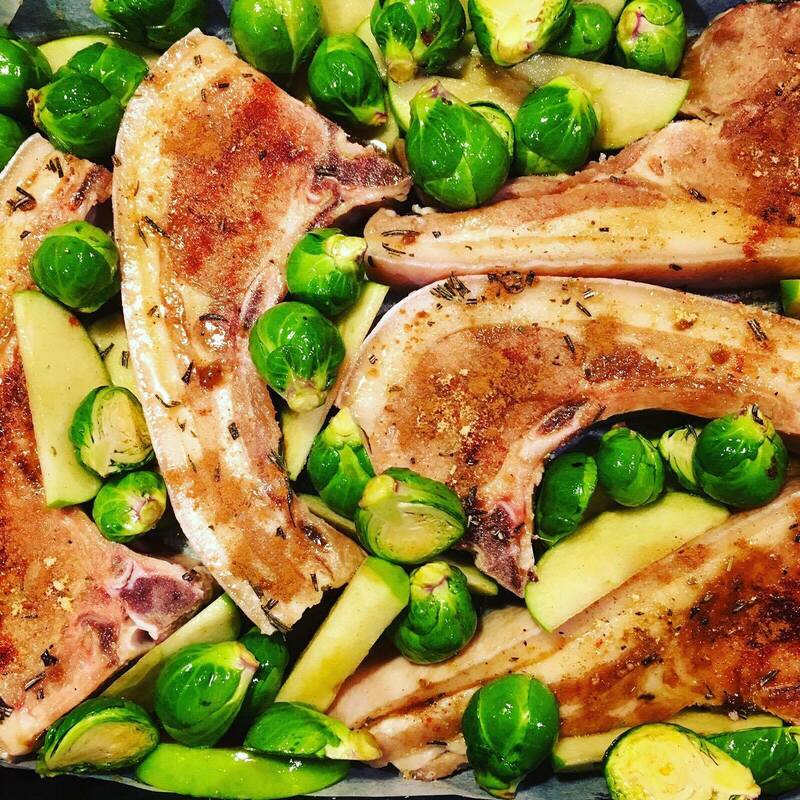 Lie the pork chops on a greased oven tray, and spread the apples and brussel sprout mixture around the pork. Try to minimise the amount of liquid brought over as it means the pork will be crispier. Bake for 10 minutes on each side at 250°C.